With more than 190,000 employees working across 74 countries, diversity is an integral part of who we are as a company. We employ talented individuals from a wide variety of backgrounds, locally and globally. We value and support the diversity of ideas, approaches and work styles that our employees contribute and are proud of our world-class team of financial services professionals. 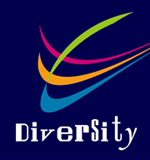 In the United States, the firm’s diversity and inclusion efforts are led by the U.S. Diversity Council. Established by Territory Management in 2008, the Council consists of business leaders who direct the strategic diversity and inclusion initiatives in the U.S. In addition to the BNGs, the Diversity Council also engages in several strategic partnerships, such as the Financial Women’s Association and Prep for Prep, to enhance professional opportunities for our employees, as well as to contribute to Corporate Social Responsibility initiatives.